Workplace bullying is a costly epidemic, and with almost 60% of people saying that have either witnessed or been victims of bullying in the workplace, it’s become a big problem. There is no one-size-fits-all solution when it comes to eradicating workplace bullying, but managers and supervisors need to form a strong, consistent approach to dealing with issues before they start. Please feel free to circulate this to your managers who are often in the frontline when bullying issues are raised. 1 in 15 respondents said they had seen a colleague’s work being sabotaged. In 56% of cases, the bullying was disguised as ‘workplace banter’. 25% of workers thought bullying was just part of the culture where they worked. Why should you pay attention to this issue? Bullying results in higher levels of absenteeism – this brings a huge cost implication around sick pay and the use of temp staff to cover the workload … plus absences put unnecessary pressure on other staff. Bullying results in higher staff turnover – which means a cost implication around recruiting and inducting new staff, plus loss of knowledge and expertise in departing staff. Bullying results in reduced levels of on the job performance and inevitably also lower levels of productivity which all impact on cost/the bottom line. You have a duty of care to all your staff under health and safety legislation. You have a responsibility to both staff and the organisation to create an environment where staff can be fully productive and engaged. Staff who are bullied experience lower job satisfaction, often suffer health issues and at times also lose their job. Would you wish this to happen to you? Just because someone says it is bullying does not mean that another employee would describe what is happening as bullying. Consider what is happening and don’t feel forced to pre-judge the situation on one person’s word. If necessary, involve HR or another manager as a sounding board. Witnessing bullying can impact staff well-being and employee morale – especially if it is thought to be happening unchecked. Consider providing Personal Resilience training for those who perceive bullying where others do not. Before sacking or disciplining a bully, why not give them an opportunity to understand the impact of their behaviour and change their ways? Consider using psychometric profiles to demonstrate to individuals why they might be in conflict with each other or why one person might bully, or appear to bully another. Consider the benefits of introducing emotional intelligence profiling and offering a programme around developing emotional intelligence skills (for those who would benefit). Consider rolling out unconscious bias workshops to raise awareness of all staff of biases they have that might impact others in the workplace. If complaints of bullying arise out of a text or email exchange, arrange a meeting face to face to talk it through. Sometimes it can be the written communication style that appears to be bullying, rather than that being the intention. Consider whether there are cultural issues when investigating a complaint of bullying. Different cultures often have different expectations around treatment n the workplace. Different generations too, so consider all the options when identifying a way forward. or copy of, the organisation’s statement on diversity and inclusion. the organisations’ health and wellbeing statement (if you have one). the organisations’ H&S responsibilities in respect of Duty of Care. allegations of bullying should be raised. complaints can subsequently be escalated if required. disciplinary action may be taken by the organisation where bullying is found to have occurred (different levels required for different degrees of bullying)? counselling/support services are accessible by employees including a provision of relevant website details that offer support and advice. the personal responsibility of all staff to seek to resolve issues at an early stage and how this will contribute to a healthy work environment. the personal responsibility of all staff to seek to listen to others’ views before making judgements about what is right or wrong. the value of face to face discussion of issues, before matters are escalated (not appropriate in instances of very serious bullying). 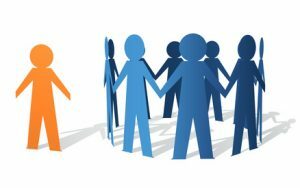 how different personalities can sometimes clash in the workplace and how different communication or behavioural styles may be seen as bullying by some. how individuals should seek support from HR if they want to understand more about communication and behavioural styles that are different to their own. confidentiality in respect of complaints raised. Almost 60% of people have witnessed or been victims of bullying in the workplace. 37% said they felt they had been bullied themselves, 21% admitted witnessing colleagues being subjected to abuse (another survey by Family Lives charity quoted 66% had witnessed bullying at work, and 91% felt organisation did not deal with situation adequately). 1 in 15 respondents said they had seen colleague’s work being sabotaged. 1 in 20 witnessed physical violence between workmates. 20% feared they would become the target of the bully themselves. 10% were afraid of losing their job if they spoke out. Of those bullied, 43% felt intimidated at work – 25% reportedly being shouted at, and 5% reporting they had items thrown at them. Just 48% of victims and witnesses acted on the evidence. If you have any questions about any of the above please do call on: 01425 479888 or email us. Developing employment policies including bullying and harassment and diversity and inclusion at work. Emotional intelligence profiling and development programmes that are developed as a result of profiling outcomes. Developing Personal resilience at work training. Effective communication skills and assertiveness training. Formal disciplinary and grievance investigations. Chairing disciplinary or grievance meetings.